On my way to Home Depot, I drove right past our local building supply store. I would like to say I don’t know why I did that – but I do. Our local store had exactly what I needed and its quality could not be beat. Sure, it cost a little more – but you get what you pay for. My problem is with Lyle, the guy who runs it. Make no mistake, Lyle is unflappably honest and a walking encyclopedia of home improvement knowledge – but he refuses to suffer idiots. Being an idiot, I have a problem with that. Lyle’s is not a place for people who do not know what they are doing because it is not a store, rather it is a collection of mammoth pole sheds, all of which are strictly off-limits to the general public. The only thing the customer gets to see is a small lobby ringed by counters. Across the counters stand a picket fence of catalogs and every ten feet or so, a hole has been cleared through the catalogs. This is where long lines of mostly professional builders, pay homage to clerks. Shopping at Lyle’s goes something like this. No matter which line you choose, you inevitably end up talking to Lyle and he is always on the telephone with someone more important than you. After sizing you up, he places a large paw over the receiver. “What do you want?” he asks. He gives you a look that says all his doubts about you have been confirmed. “John,” he calls out in a tone devoid of mercy, “would you help this guy out?” He then signals for you to move to the last and smallest hole in the catalogs. There you meet the lowest clerk on Lyle’s totem pole. “What are you sheet-rocking?” he asks, with genuine interest. “Are you doing it yourself or do you have help?” he asks. After working out the details, he tells you which shipping door to pull around to where a couple of beefy college kids sullenly load your trailer. You now have what you need but it cost you more in pride than money. It would be simple and painless – if only Lyle would let you get away with being a moron. But he doesn’t and it has cost him. Home Depot and Lowe’s have cut into his business forcing him to lay off everyone on his staff capable of empathy. So now I drive to the Big Box Store twenty miles away. All of their stuff is right out where you can touch it, not behind a barrier. It’s all well organized, brightly colored and blister packed. It virtually begs to be pulled off the shelf. 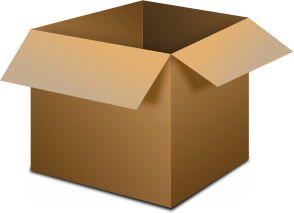 The problem is: big-box stuff is made to be sold, not used. Their lumber is almost always warped and you have to dig under 200 pounds of sheet-rock to find a good piece. On the rare occasion you find something you like, it never lasts as long as you like. On this trip, I had to give up looking for an odd bracket for a shelf my wife bought at an auction. The bracket had to fit into a diagonal groove. I’d never seen anything like it. On my way out, I ran into John. He was working as a clerk. We chatted and he said with sadness that Lyle could no longer keep him on. Now he had to drive twice as far to work for half the wage. He removed a notepad and a stubby pencil from his shirt pocket and wrote down a string of numbers and letters so cryptic, it could serve as an excellent password. I’ll go to Ace anytime. They are local, still doing well and friendly. Walmart has been threatening to build here for the last few years, but have only broke ground. Me thinks the locals are trying to keep them out. If we go to the closest Walmart, the music alone drives me out. So, I do much of my (especially Walmart) shopping on-line. Lowe’s has better help than Home Depot. Go figure. [shudder] I forgot about the Muzak. This is an excellent piece of evocative writing. I loved beyond all else the semi-twist at the end. But the “all else” was a perfect walk through the realities of trying to hang in there with the denizens of the family businesses when you’re quite aware of the convenience of the big box just down the road. Beautiful job. Thanks Chuck. I take no credit though, these stories write themselves. I just do the typing. Love it. I miss the old hardware stores… I’m semi-literate in contractor and fluent in moron – I’d fit right in. I use Google translator to convert moron to contractor – though occasionally Google let’s me down. I have had to explain why I came home with a couple hundred gallons of seal-coat instead of the roll of weather stripping I was sent out to get. Well written as always, and you describe (explain?!) the dilemma, frustration, humiliation, and realities most of us encounter. I try not to harden judgments for or against retailers of any size or purpose; the relevant issues aren’t nearly as simple as the cliched harangue against big box stores would have us believe. I do love the tale of the Russian brothers! Naw, they all know I was born in the city. I am unredeemable. Oops missed the earlier reference to the Soup Nazi. He prefers to deal with builders and people in the trades. He has lost business but doesn’t feel it’s much of a loss. What a shame! I’d rather go to the guy in town ,too. The best and worst thing about a small town store is that they know who you are. It is wonderful to be greeted by name when you walk through the door – it is another to be greeted by hostile stares because your brother-in-law is building a pig-barn upwind of the clerk’s house. Are you sure this Lyle bloke isn’t English? All our independent shopkeepers are like that – the tales I could tell! The Russians are the absolute worst…. There was a legendary electronics store in New York run by three Russian brothers. You placed your order with the first brother. Paid the second and picked up your purchase from the third. You were not allowed to touch their stock until you owned it and each brother got a shot at abusing you. There is a lady from West Africa running an exotic vegetable shop near us. She is famous in these parts for being incredibly offhand. Once I spotted an item that was spherical, coloured emerald and cream. I merely asked of its taste and how to cook it. Her standard line – ‘I’ve got cook books over there; buy one if you want to know what to do with it’ at which she goes back to texting whomsoever she was texting. It’s their way of letting you know you are in a place of quality. Nowhere else can you get away with that. It’s a toss up for me whether I want to be condescended to by someone who knows a lot and recognizes that I don’t or to be approached by the cheerful person who knows very little and just wastes my time trying to be helpful. My new helpful store clerk? YouTube and how-to websites. My new helpful store clerk? YouTube and how-to websites. All too often instruction manuals describe in precise terse terms what needs to be done. They rarely explain. There is a critical difference between describing and explaining. A difference even fiction writers must not lose sight of. Without explanation, we lack the context to understand. Using YouTube, we visualize the process and suddenly everything makes sense. I hate that we are losing, one-by-one, businesses like Lyle’s. We try to support them as much as possible and usually it’s an immensely positive experience. Lyle reminds me of the Soup Nazi on Seinfeld. I don’t know what it is but our main street looks like a ghost town, yet six mile away, business is booming in a town half our size. A lot of it is attitude. Our main street too. One of the last retailers folded up shop a month ago. Now we are left with the courthouse facility, a bank, a library, and some churches. There is a small diner. And that’s it. It seems that so many people drive into Richmond for work – this being a rural county – that they do their shopping on their way to and from work. These ghost town main streets are such a loss. I lived in Marshall, MN when I was a kid and the main street there was vibrant. I sincerely hope it still is. Even the big box stores are fleeing our area. Target announced that the Austin MN will close on the last day of January. I don’t know how Marshal is doing – but it is far enough a way from everywhere else, it should be doing fine. This is one of the reasons I hate Walmart and will not shop there. They come into an area, undercut all the locals prices, put everybody out of business, then leave. Why so many of us go to Walmart to shop is beyond me. And their prices aren’t any lower than other stores in a lot of cases. I grew up 20 miles east of Marshall and my family shopped both there and in Redwood Falls, although we frequented the stores in Vesta (mostly hardware plus one grocery), too. Today my hometown doesn’t have much of anything. I have not been to Marshall in more than 30 years, since leaving the area. I don’t know how the shopping is today. But I know that folks on the prairie are willing to drive to Sioux Falls and Willmar to shop at regional centers. As for Lyle, your story is just plain sad. It seems he could have so much, if only he focused on customer service and treating those folks with kindness. Our local ACE Hardware is an example of great customer service. Prices are higher than elsewhere, but the minute you walk in the door, a staff member greets you and asks what he/she can help you find. Ditto for Burkhartzmeyere Shoes, a third-generation family-owned shoe store in historic downtown Faribault. They measure your feet, place shoes on your feet and, when you buy shoes, box them and secure the box with string. Even add a sucker if you wish. Oh, and they also have one very busy shoe repair department. John sounds like the type of employee any employer would be lucky to have. I have not shopped much in Faribault despite having lived in Dundas for a few years. Got it. Having only recently begun reading your blog, I appreciate the explanation of your approach to penning your posts. Good to know. Menards and Target reign in Dundas. At least I think Target sits in Dundas. Can’t recall for sure, but Target’s move into the area was quite controversial. Busy place, it is.